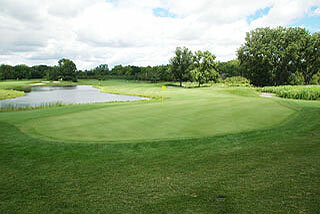 Arrowhead is a 27-hole Championship course located in Wheaton, about an hour drive west from Downtown Chicago. 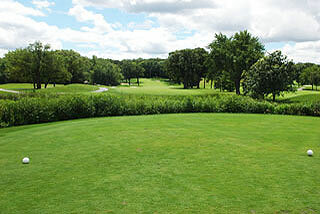 The original 18-hole Antlers Club was built with horse drawn plows in the 1920's by Ralph Weimer and his family. In 1929 the club was renamed Arrowhead Golf Club for the many Native American artifacts that were found on the site during construction and in 1967 the West Course was constructed bringing the number of holes to the current total of 27. Recent renovations include all new bunkers (86), one new green, two new tees, expansion of a few fairways and re-shaping of a number of tees - all designed to make the course more playable and enjoyable for all levels of golfers. 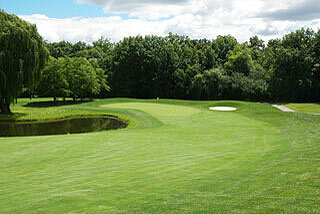 In recent years Arrowhead was awarded 4-1/2 stars by Chicagoland Golf Magazine. We must stress that this is a public course, even though on first sight the incredible clubhouse may deceive golfers into thinking this is a "members only" private club. Arrowhead was named "Best of the West" by west Suburban Living Magazine for 2017. The beautiful clubhouse features a fully stocked pro shop, locker rooms with showers, conference rooms, large dining rooms for banquets, and the Arrowhead Restaurant, Bar and Patio serving lunch and dinner and breakfast on the weekends until 3pm. 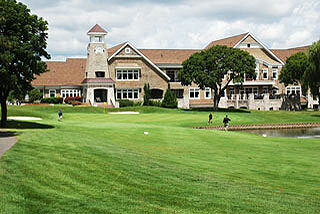 Arrowhead's large patio overlooks the course and is noted as Chicagoland golfer's favorite 19th hole. Bar service includes a vast selection of beer, wine and spirits. 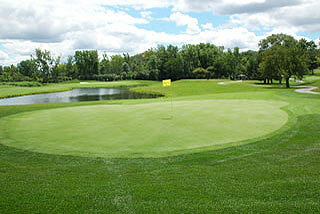 Practice facilities include a targeted grass range, putting green, and short game area with sand bunkers. Pelican golf was added in 2016 and now offers state of the art club fitting. Clubs from all manufacturers are available as is club repair. Simulator golf is available throughout the winter months. There are 3 sets of tee boxes with yardages that range from 5,104 to 6,761 yards on the South/East course, 5077 to 6692 yards South/West, and 4868 to 6632 yards on the West/East course. There are also two sets of combo tees available. Slopes range from 119 on the front tees of West/East to a slope of 134 on the South/East course. 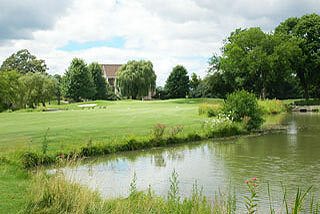 The South nine is highlighted by the par three 4th which features a large pond to be carried with a beautiful view from the tee box, and the par four 9th with a beautiful view from the fairway with the clubhouse in the background. The long par five 10th (#1 East) features a tight fairway with trees on the left and tall natural marsh along the right side. 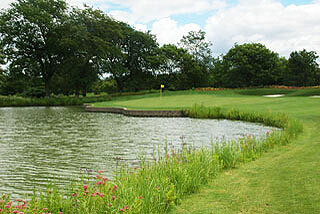 The 7th is the signature hole on the West course, a 170 yard par three with an island green. On course yardage marking includes disks in the middle of the fairway from 100, 150, and 200 to the center of the green as well as sprinkler heads on all par fours and fives. Color coded flags provide daily pin placement information. There are a total of 91 sand bunkers situated greenside and near landing zones and water comes into play in the form of lakes and ponds on 15-holes. Arrowhead is a very walker friendly course with very little distance from the green to the next tee box. The terrain is mounded with plenty of elevation change from shot to shot. The landing zones are fairly wide open with the exception of some scattered smaller trees and a few tightly tree lined holes. 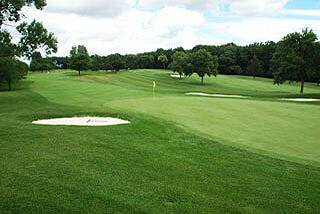 Green complexes are guarded by bunkers and mounds that generally leave the front of the putting surface open. The greens are large and sloping and very readable with very little undulation. Photos in this review were taken on the South/East course. For more info, please visit our page for the course with all the technical info on the property by clicking here.